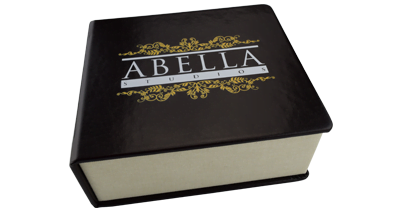 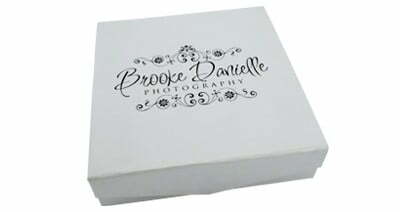 The Elegant USB Gift Box is the perfect package to your keep your memories safe, this luxourious heavy-weight canvas storage box is well-designed with three different compartments being able to securely house a DVD/CD, a stylish faux leather Hermes USB and up to 150 6″x 9″ photographs. 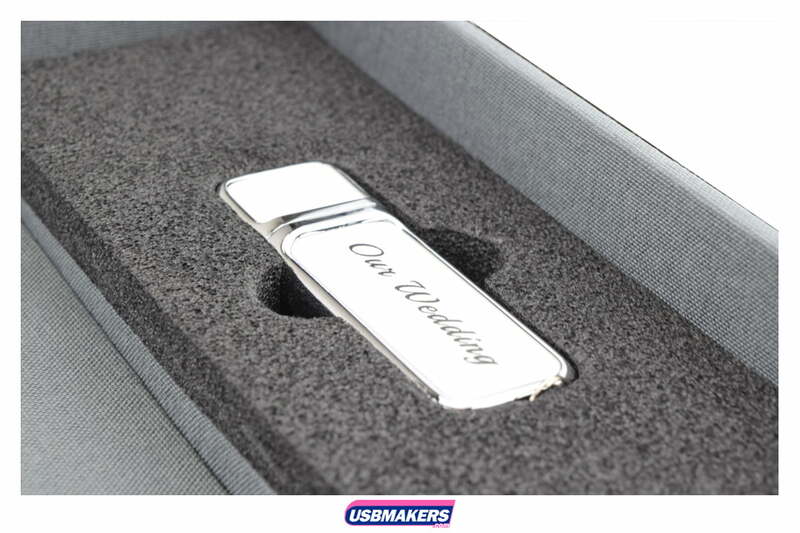 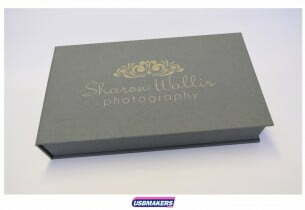 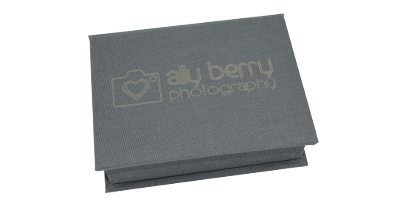 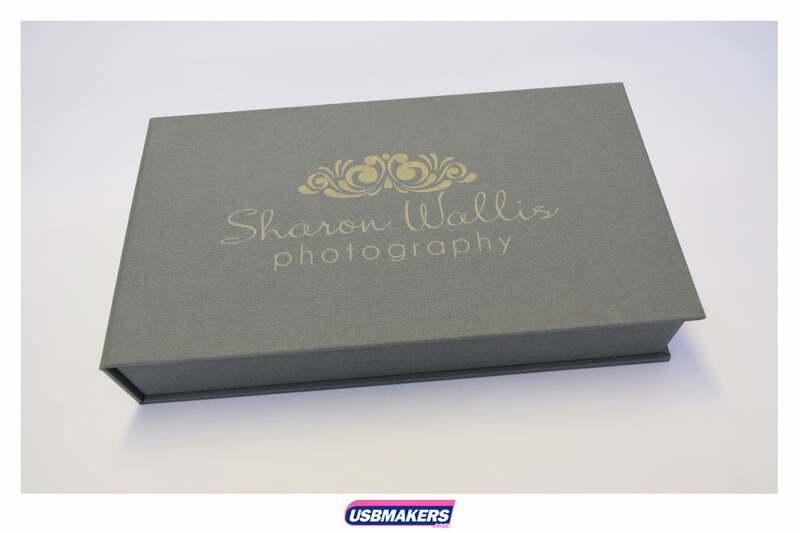 Available in a soft grey colour, we can personalise it with your company logo or text engraved into the lid of the high class Elegant USB Gift Box, to forever advertise your brand as your clients show off their stunning gift to friends and family. 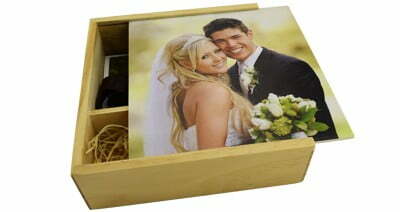 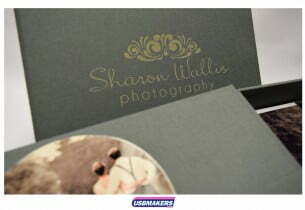 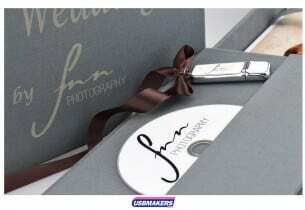 The main section of the Elegant Gift Box has space for 150 photographs of your clients special day, with an easy pull ribbon for access to the photos. 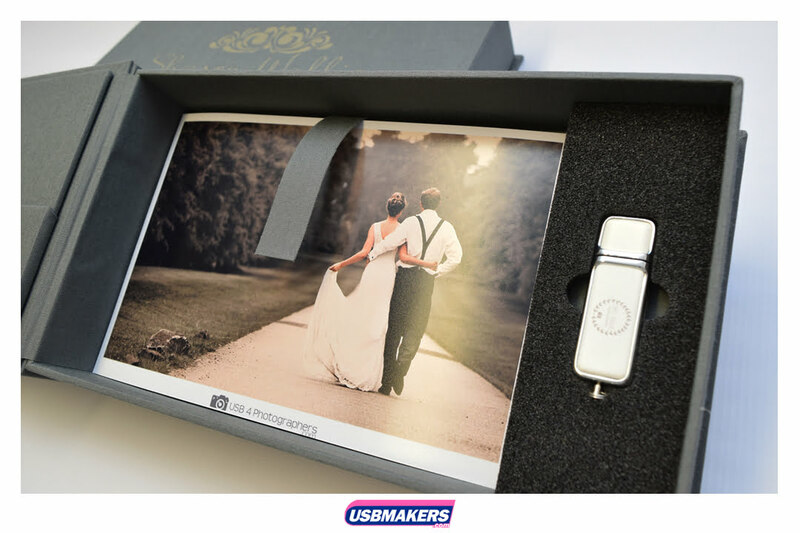 To one side, there is a hard die-cut foam perfectly suited for the Hermes USB Drive, which is available in either White or Black and up to 16Gb of memory. 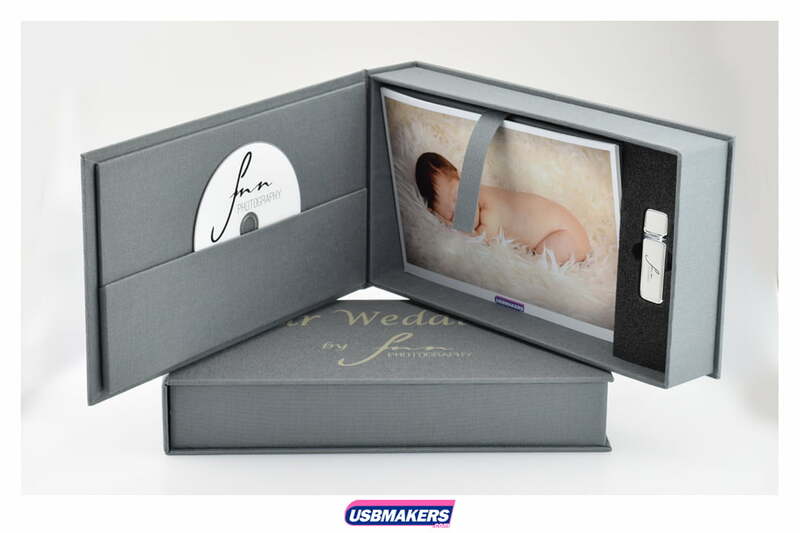 On the lid of the Elegant Gift Box is a pocket for the CD/DVD to comfortably be stored. 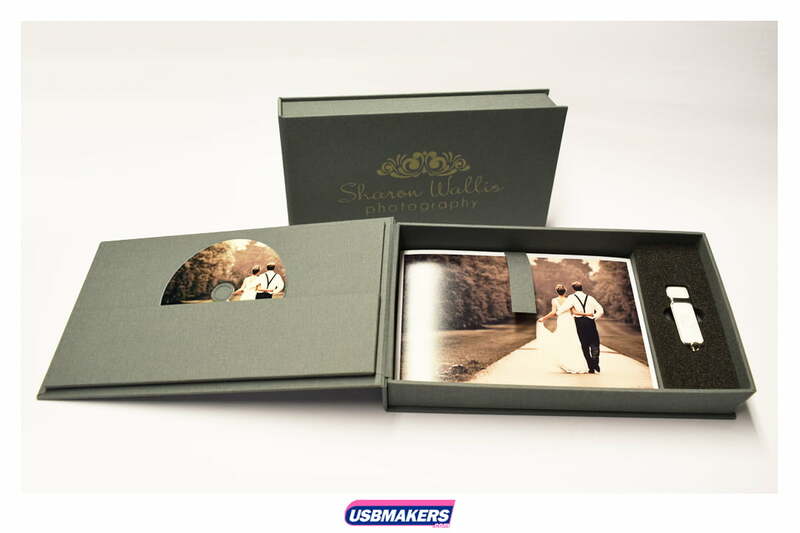 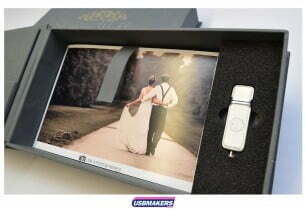 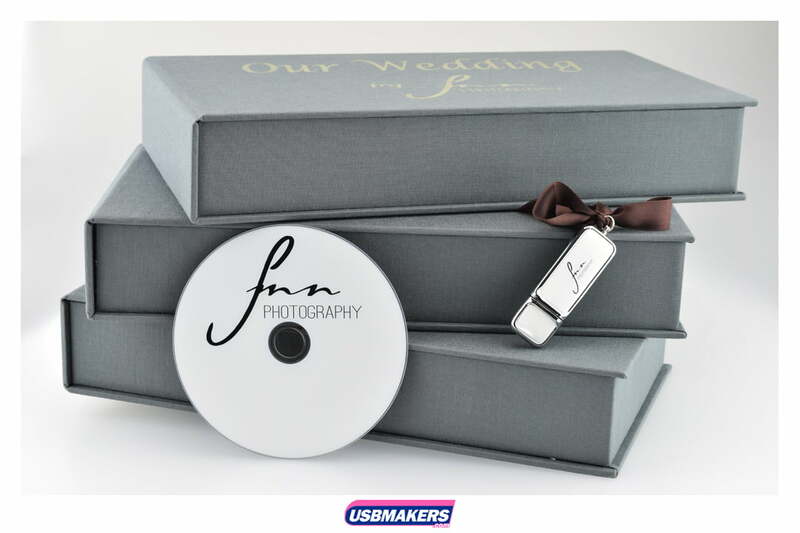 What better way to look back on those special moments than with the Elegant Photo, USB and CD Gift box, the 3-in-1 product that will stand the test of time.